Year 9 students from Katherine School of the Air (KSA) and Alice Springs School of the Air (ASSOA) partnered together to become work ready. 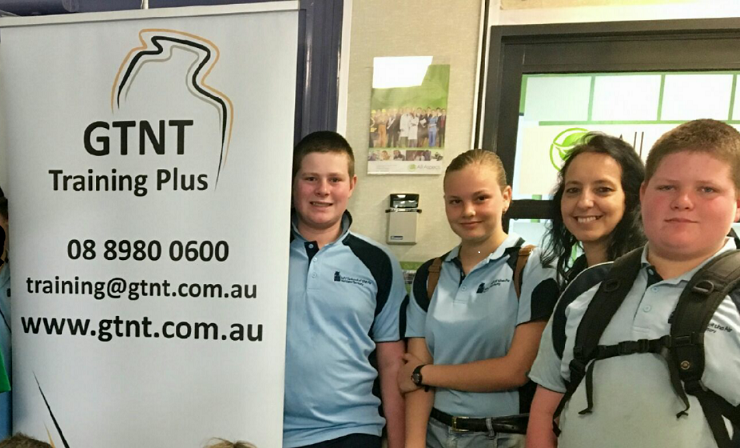 Collaborating with GTNT, both schools had students working towards their Certificate 1 in Business. Three students successfully completed the whole qualification and a further two received a statement of attainment. Delivered over IDL via React in their home classrooms, students worked with a trainer based in Darwin for two days over the semester. Although this was a new method of delivery for GTNT, students of KSA and ASSOA attend IDL lessons each day. Vocational Education and Training (VET) courses broaden the skills in a specialised area and gives students the practical experience they'll need for the workplace. Not only does a VET qualification introduce positive ideas around work culture and resilience within a workplace, but it can also be used towards their Northern Territory Certificate of Education and Training (NTCET). With both Schools of the Air partnering together, the students had opportunities to learn with a broader group and teachers across schools were able to collaborate and share expertise. This fledgling success has given teachers the encouragement they need to commit to another year of career pathway options. This will ensure that Year 9 students learning by distance in remote areas of the Northern Territory can look forward to being able to access a range of VET courses offered in the future.